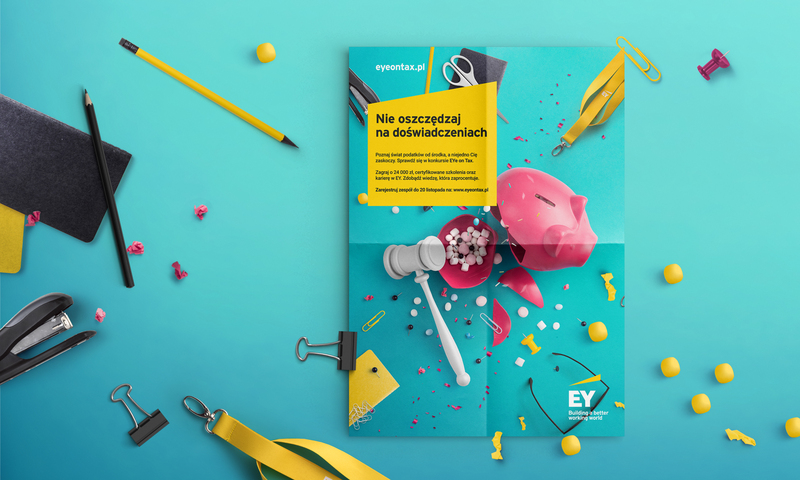 Concept for EY EYe on Tax competition / 2017-2018 Edition. 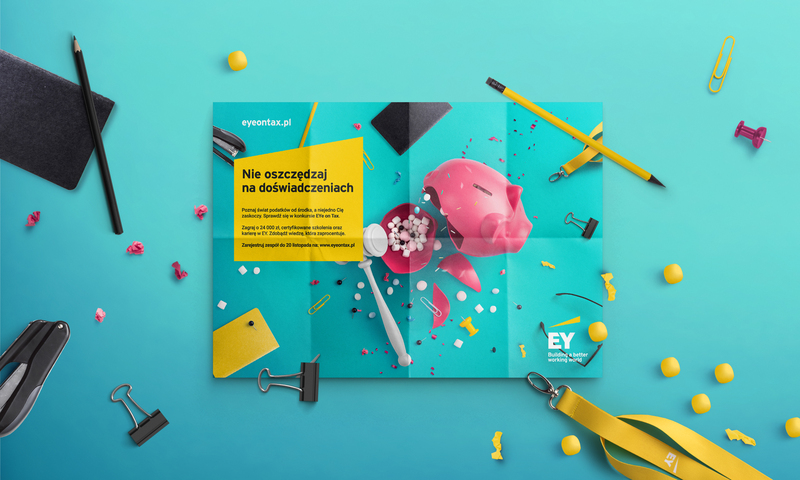 We were commissioned to create a communication concept, photo session (Studio Bank / Warsaw) and key visual. EYe on Tax is a prestigious competition for students looking for experience in corporate finance sector. 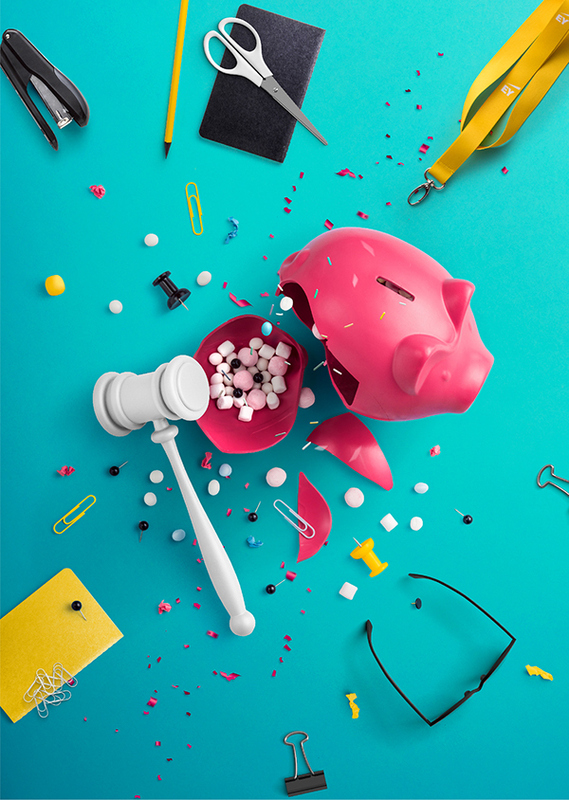 When designing our key visual, we used key symbols related to the competition theme: piggybank and a gavel. We chose intense, unrealistically candy-like color palette, generously sprinkled with iconic creativity. 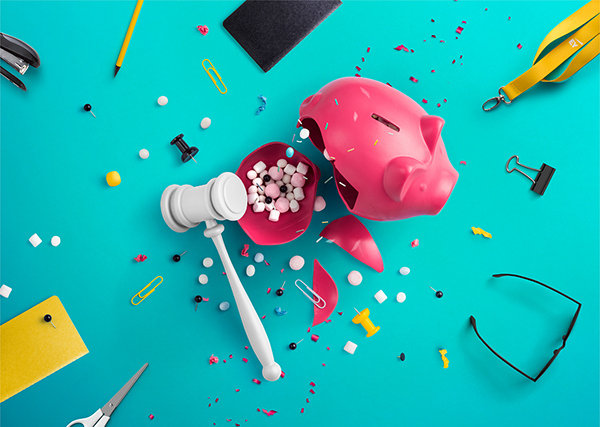 When designing our key visual, we used key symbols related to the competition theme: piggybank and a gavel. 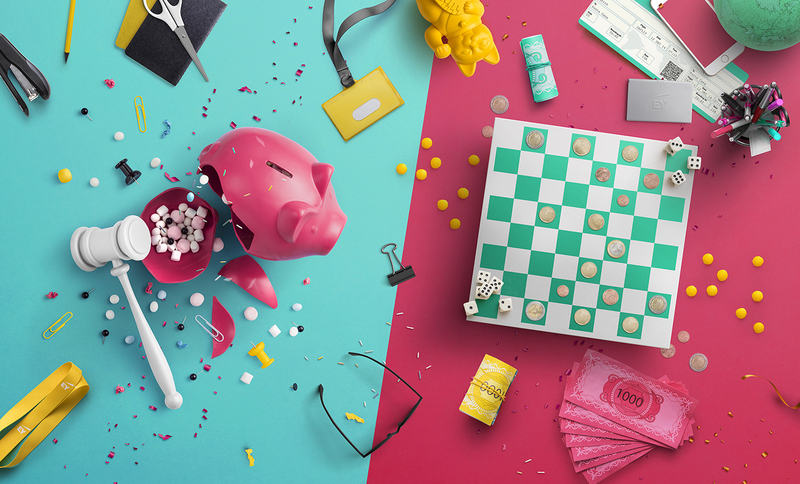 We chose intense, unrealistically candy-like color palette, generously sprinkled with iconic creativity.